Like I alreay told you in my previous post, I also attended a chocolate workshop at Tsunacon. Here you can see in 8 simple steps how to make three cute bonbons. The goal was to make one heartshaped bonbon filled with caramel and two cubeshaped bonbons filled with ganache. At the workshop they used a chocolate fondue to melt chocolate, but you can also use a boiling pan for the same purpose. 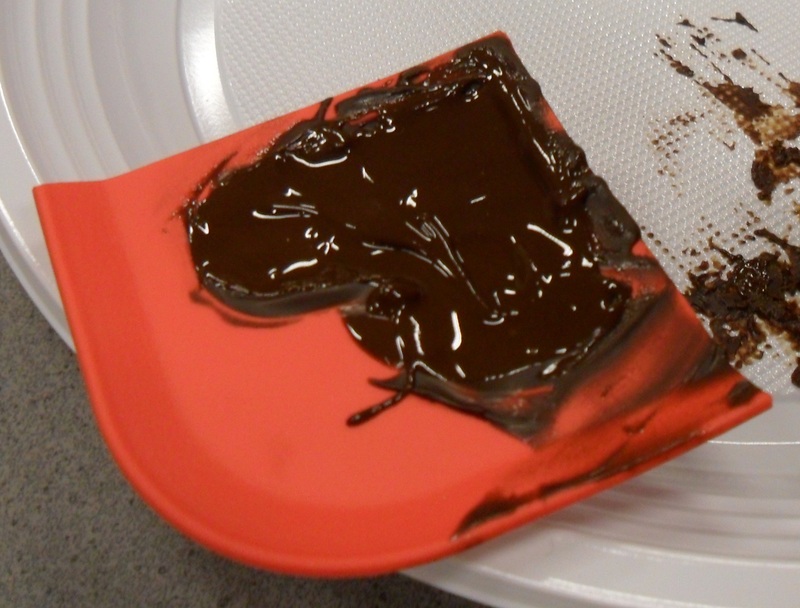 If you use a pan, you can better use two of them: One filled with water and as soon as it’s just below the boiling point you can put another pan with the chocolate inside it. 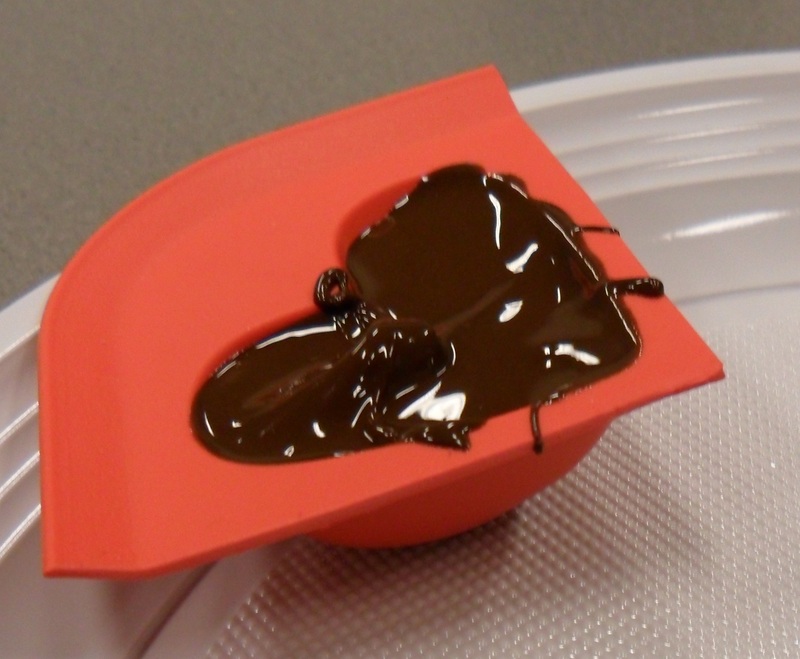 They have special pans for this, but I usually just use two pans when I’m melting chocolate, because I don’t have that special pan and it works fine like this too. 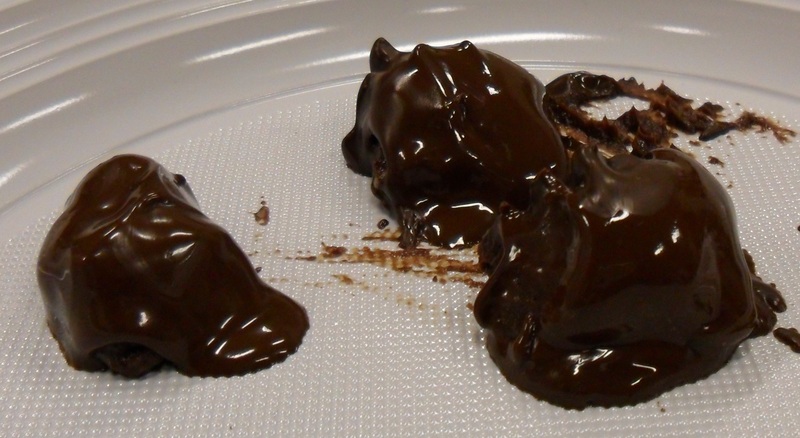 When melting the chocolate you first melt two-third of it before you add the other one-third. Now you have some time to wait for this chocolate to harden, so in the mean time you can work on the other two bonbons. They had already made it for us and only told us you had to use whipped cream and chocolate to make it. Uh, ok, but I don’t think that much will help you making it, therefore I’ve found you this recipe in which they explain you how to make the ganache. I haven’t tried it out yet, so I don’t know if it’s a good one. 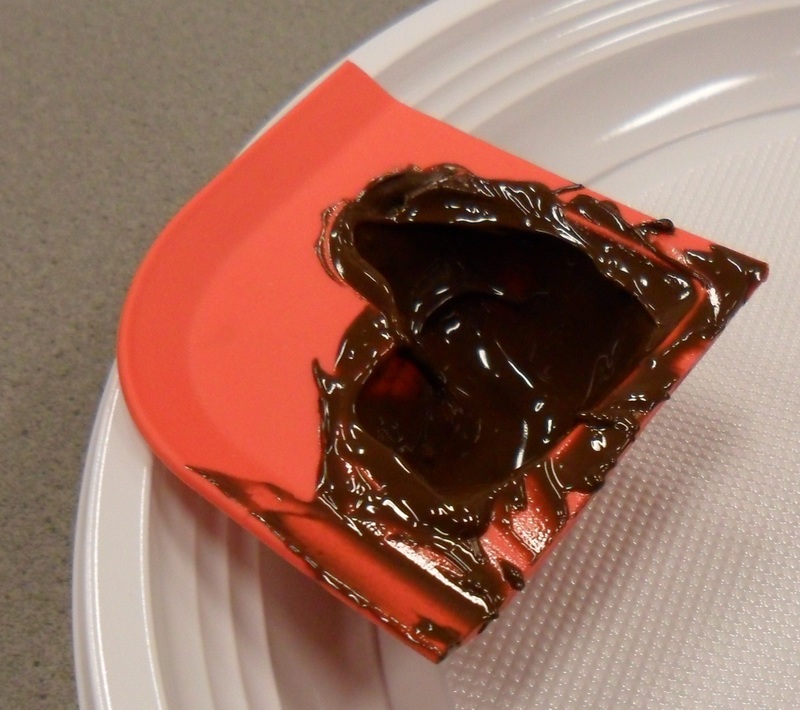 You’re supposed to let the chocolate only for a minute or so in the mold, therefore keep track of time while you’re busy dipping your ganache into the melted chocolate! 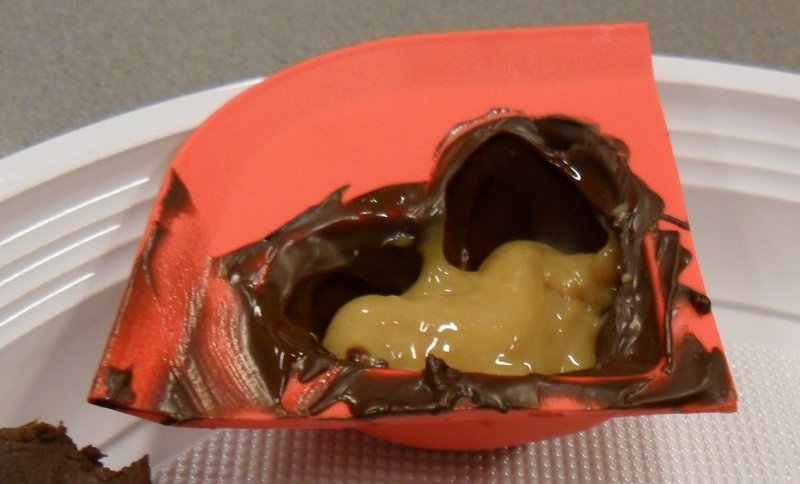 If you wait too long, the chocolate layer around your caramel filling will be too thick. 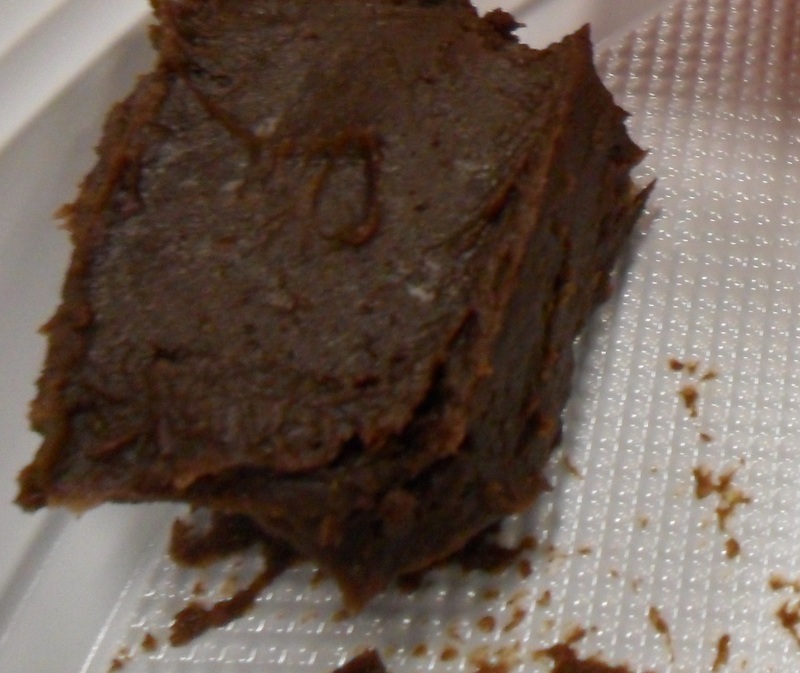 Now you’ll have to wait for this chocolate layer to harden. We also didn’t make the caramel ourselves, so I got you this recipe you can try out. Of course you can also just buy the caramel in stores, but wouldn’t you rather make everything yourself? While you’re at it anyway, why not? Now you can let you creativity flow! Just wrap them up however you like. Maybe you want use a box to put them in? Or a transparent packing? Everything is possible! The use of ribbons is always a plus! 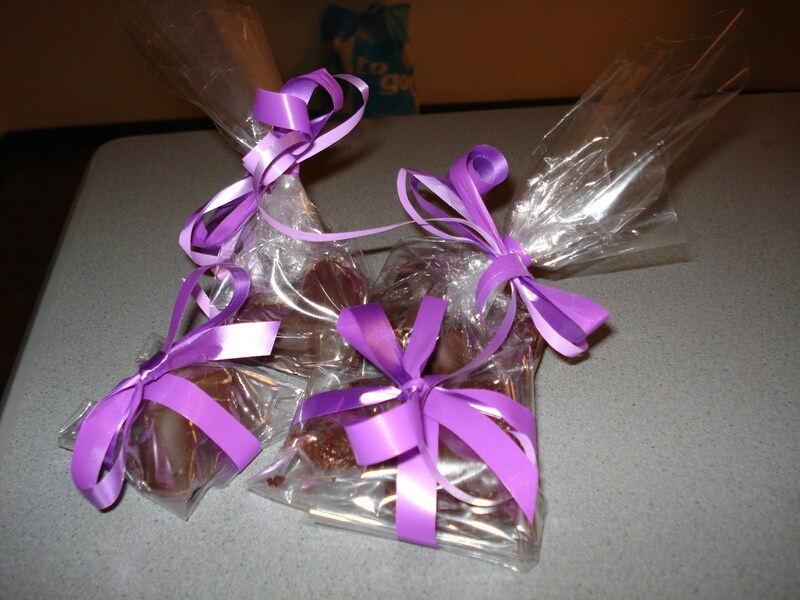 The bottom two packets of bonbons were made by me and the upper two were made by my friend. I gave the bonbon on the left, the heartshaped one, to my father and the bonbons on the right, the ganache coated with chocolate, to my mother for Valentine’s Day. They both loved it!